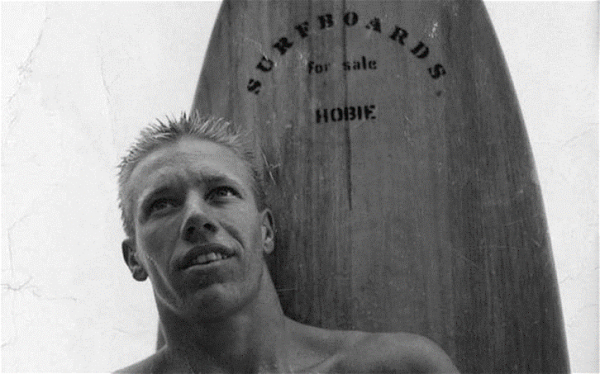 Ticketed passengers passing through John Wayne Airport can view a new exhibit featuring Hobart “Hobie” Alter through spring 2019. Photo courtesy of John Wayne Airport. The Vi Smith Concourse Gallery on the departure level features photographs and memorabilia celebrating the lifetime achievements of the watersports pioneer, including a photo of Hobie and his wife, Sharon, made for Kodak, stages of surfboard production, and shots from Hobie’s life celebration. For more information about the airport’s art programs, visit www.ocair.com/terminal/artexhibits. The exhibit will run through spring 2019. No Square Theatre presents the Tony Award-winning musical “Annie” this Friday, Nov. 30, through Dec. 22, with both matinee and evening performances Friday-Sunday. The show is directed by Joe Lauderdale and choreographed by Ellen Prince. Vocal music is directed by Roxanna Ward and the band is directed by Christopher W. Smith, at the piano. David Cowan is the stage manager, and costumes are done by Brigitte Harper. Costumes for this production are underwritten by a grant from FOA Foundation. No Square Theatre is located in Historic Legion Hall, 384 Legion Street. For tickets and showtimes, visit nosquare.org. Admission is $12.50 for children 6-11, and adults from $25-$35. The concerts include image magnification on big screens in the concert hall. Concerts begin at 8 p.m. with a preview talk hosted by Alan Chapman at 7 p.m. Tickets start at $25. For more information or to purchase tickets call the box office at 714-755-5799 or visit www.PacificSymphony.org. Local artists Siân Poeschl, Maggie Spencer and Troy Poeschl will open their studios at 2711 Laguna Canyon Road at 11 a.m. on Saturday, Dec. 8, for their annual sale of fused glass, photography, mixed media and sculpture along with gift items. A seconds table with heavily discounted pieces “will offer all the experiments that didn’t turn out quite right,” a statement from the artists said. Troy Poeschl exhibits at the Festival of Arts and has been a frequent exhibitor in the Yosemite Renaissance Exhibition plus the Sawdust Festival, where Maggie Spencer and Sian Poeschl also exhibit their work. “This is our annual studio clear out,” Spencer said. “It’s the only time we open up the studio to the public and it’s a great fun to catch up with friends and celebrate the season.” Spencer will also offer studio classes providing an opportunity to make holiday ornaments. Sign up at www.maggiespencer.com. A percentage of all sales will be donated to the Craft Emergency Relief Fund, which provides financial help to artists who have lost their studios due to the fires. “CERF+ helped us during the 2010 floods, now it is our opportunity to help our fellow artists,” said Sian Poeschl. Donations may be made through a purchase or directly to www.cerfplus.org. “Handel’s Glorious Messiah” takes place on Sunday, Dec. 9, at 3 p.m., at the Renée and Henry Segerstrom Concert Hall. Tickets start at $44. For more information or to purchase tickets, call 714-755-5799 or visit www.PacificSymphony.org.